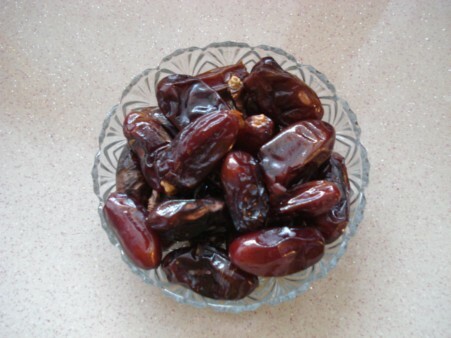 Date is an edible sweet fruit. Dates are oval-cylindrical, 3�cm long, and 2�cm diameter, and when unripe, range from bright red to bright yellow in colour, depending on variety. Dates ripen in four stages, and the stages are unripe, full-size & crunchy, ripe & soft and the last stage is ripe & sun-dried. Iraq has long been a major producer of dates.